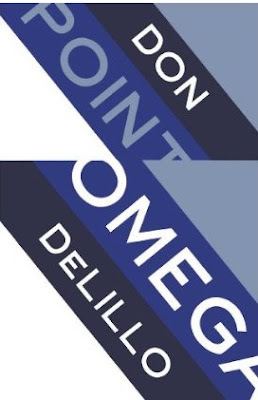 When I read the excerpt from Point Omega in The New Yorker last year, I didn't really like it. But some of it has stayed with me, and I keep seeing fairly positive reviews of the book now. If it were long, no way I'd go there. But at just over 100 pages . . . I get more and more tempted. Have you read White Noise? I didn't like that one and would love someone to tell me if this is more of the same stuff I didn't like. I'm sorry that I haven't read White Noise, Trevor, and so can't give you the thumbs-up or thumbs down on this one. I seem to remember reading something somewhere that was positive about White Noise and not so much for this one so my hunch would be maybe not. This new novel is very spare and mysterious, whereas I think WN was more of a dark comedy. I think I may be the only DeLillo reader in the world who likes Underworld best. I read a number of others (including White Noise, which I remember nothing about) and found them wanting. DeLillo has a "preachiness" about him (which would seem to be a feature of this book as well) that is tolerable on first exposure but wears thin very quickly. I have a theory that your first DeLillo is your favorite. Thanks for the clarification James. I realise that by accepting others people's judgement that White Noise was better (and therefore maybe Point Omega might not be for Trevor) I hadn't seen that by being different it might actually work as a recommendation (if not for the fact that Trevor wasn't so keen on the extract he read). I guess, Trevor, with it only being a short one you might have to see if that temptation to read becomes strong enough. Kevin, that's a very good theory you have there, although I'm sure I read Underworld first. Maybe the first hundred pages of your first DeLillo are your favourite?! Now that you mention it, the first 100 pages of Underworld were my favorite. I'd say you have made an excellent refinement to my theory.